To learn more about wine it’s imperative to explore different grapes from different countries. This month’s choice is from Croatia - really Croatia?!? Yep! They’ve been making wines for 2500 years. That may seem inconceivable to some but it’s true. Although Croatia is considered to be an “Old World” wine producer most of their larger wineries has adopted newer methods - It just so happens the one I chose is more traditional using methods that are 500 years old and I reaped the benefits! 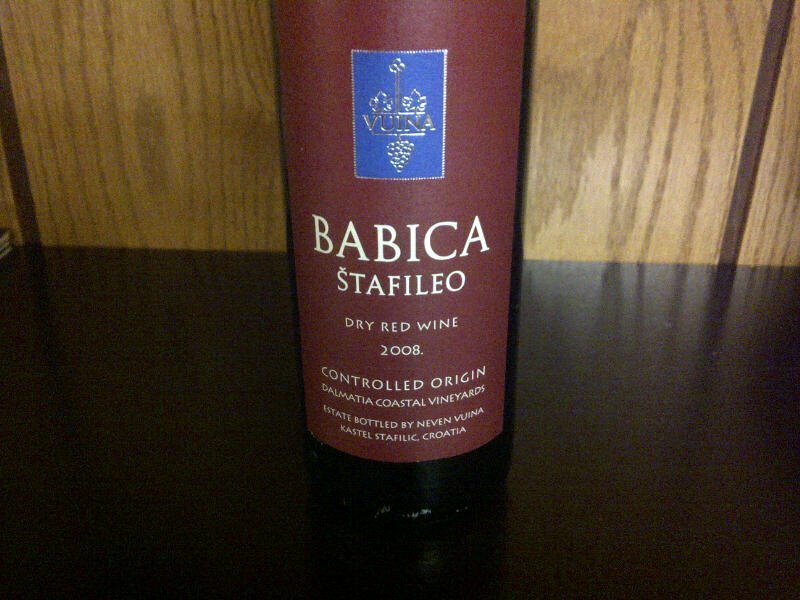 The one I enjoyed was from Kastel Vineyards - Central Dalmatia, Croatia “Babica Stafileo” 2008 using 95% Babica grapes and aged 18 months in oak barrels. 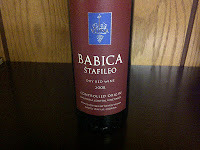 This is the only vineyard in the world that I’m aware of that uses the Babica grape. The grape is not sturdy at all as its thin skinned which makes it very difficult to handle/process. Aromas of figs, frozen red fruits, some jam, and I swear I detect that Croatian soil. This medium bodied wine is well balanced on the palate with smooth tannins and red fruit finishing nicely with strawberries. This tasty wine is rather charming and easy to drink. Although this wine may be a bit tough to find, Terraneo Merchants is the distributor, ask your retailer to get you a bottle. With a price tag of about $20 it’s worth every penny for the enjoyment and the knowledge you’ll gain!